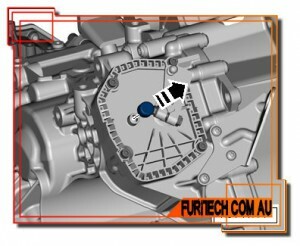 The new 7 speed Dual Clutch Gearbox from Volkswagen now has a separate Mechatronics unit fitted. The previous 02E 6 speed required a special DSG fluid where the new 0AM 7 speed uses a more common 75W/90 gear oil. 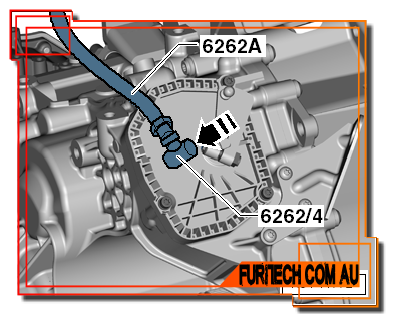 The 0AM 7 speed also has the mechatronics unit separate with its own special mechatronics fluid. This fluid is not available or hard to find and there is also no level check on the mechatronics. Volkswagen states the fluid is fill for life however alot of service books/guides state change the fluid every 60,000kms/48 Month log book service. First you will need a container with a measure on it to catch the fluid before draining. The drain plug is a large female HEX plug on the bottom of the transmission remove this to drain the gear oil from the transmission. Its always good to measure the amount of fluid removed as the transmission only requires 1.8 litre’s (1.9 quart’s) and there is on level check. After draining the fluid refit the drain plug and tighten (30Nm), next locate the breather on the top of the transmission on the plate where the gear selector is connected. You need to pop the breather cap off (it may break as its plastic) and connect a hose to it and your bottle of fluid. The factory fill procedure is gravity filled so its not recommended to pump the fluid into this location as it could cause problems. The level is set by the amount you put in there is no level check plug or dip stick to set the correct level. If you drain less then 1.8 Litres its still a good idea to fill the transmission with 1.8 litres of fluid. Please use the following information as a guide and if you are changing the fluid or have been caught out removing the wrong drain plug. We also have an alternative filling procedure please see link below. All Audi vehicles use a 3 digit code to identify the type and configuration of the Automatic Transmission. Each code represents the Manufacturer of the Transmission, The Engine Type & Size its matched to, the type of drive being FWD, RWD or AWD, Torque Rating & Software used. 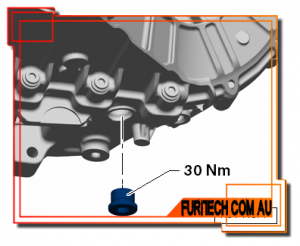 The following information is to be used as a guide to allow easy identification of the Type of Transmission fitted to the vehicle. 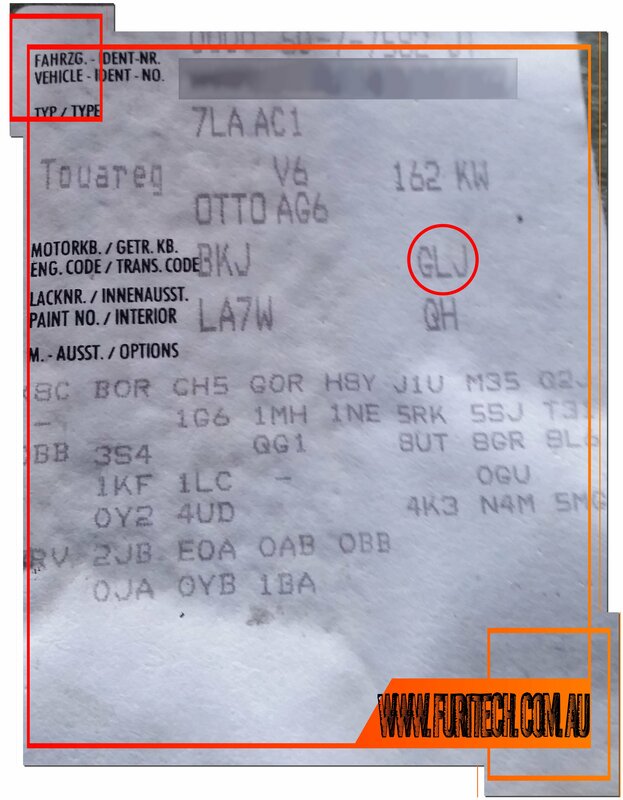 In side the vehicle’s log book will be the Identification sticker there will be a Engine/Trans area which will have the 3 digit code. 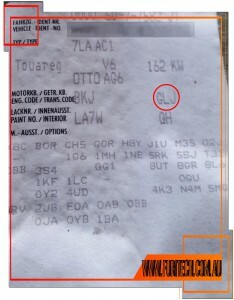 If there is no log book the sticker is also located in the vehicle somewhere most often in the spare wheel well or under the dash attached to the plastic panels. If your using a scan tool on the vehicle and it has a ID function it will show the part number of the module using the first 3 digits you can match them to the first 3 digits of the Transmission part number.